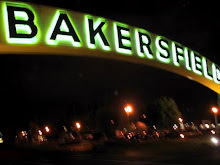 Bakersfield Observed: Has downtown Bakersfield reached a "tipping point?" And should we be happy to be named a "drunk city?" 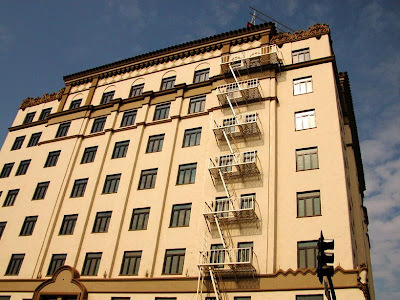 Has downtown Bakersfield reached a "tipping point?" And should we be happy to be named a "drunk city?" * ... A TIPPING POINT? It's easy to exaggerate these things, but I am sensing downtown Bakersfield has reached a "tipping point" in terms of its long renaissance. And I am saying this with full knowledge that our local economy remains in a deep funk, as evidenced by the latest "Crabtree report" that shows our local housing market stabilizing but flirting with a double dip recession. 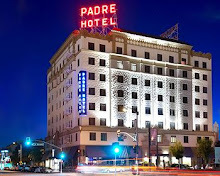 (more on that later) Still, if you were downtown this weekend, it was impossible to ignore the energy that the newly opened Padre Hotel brought to the local arts and restaurant scene. The Padre was packed all weekend, four deep at the long oak bar until the wee hours of the morning, but so were the other local businesses. Boosted by the monthly "First Friday" festivities, virtually every venue was full of revelers shoulder to shoulder: Metro Galleries, the Surface Gallery, Mama Roomba, Uricchio's Trattoria, even Cafe Med on Stockdale Highway. In addition, entertainer Martin Lawrence appeared at the Fox Theater and the Crystal Palace featured country crooner Clay Walker. Remember, this is downtown Bakersfield, once known more for a salty crowd and the occasional stabbing or bouncer-related incident that ended up in the police files. But something has changed, and it is clearly for the better. * ... OVER AT CASA MUNOZ: I stopped by Casa Munoz Mexican Restaurant located at Union Avenue and 18th Street on Saturday, not exactly downtown but a wonderful family eatery nonetheless. Julie Hernandez, the peppy and engaging daughter of owner Joe Munoz, says she too was jammed all weekend, particularly on Saturday when the restaurant was full of kids in their tuxedos and evening dresses headed to the winter formal at Garces Memorial High School. Both Julie and father Joe are Garces graduates and big-time supporters of the Catholic school located on the hill near Panorama Drive. Julie's youngest son Julian is a St. Francis School student and spends his weekends helping out at the restaurant, stopping by tables and charming the diners with his wit and charm..
* ... BULLDOG OR VOLUNTEER? I received a nice note from Dave Price, the retired director of the county Resource Management Agency who now lives in Kingsport, Tennessee. 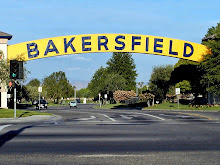 Dave was a first rate public servant with a keen wit and easy style, and one way he keeps up with Bakersfield is through this blog online (thanks Dave.) Although he's an alumnus of Fresno State University, he told me he had made a "successful transition" to becoming a rabid University of Tennessee fan, all part of living in the Volunteer state. He wrote: "All this comes at some personal cost, though, as oilman Les Clark gave me some Fresno State Bulldog gear when I left and told not me not to sell out to the Orange. He and I are both FSU alums and I was even student body vice president and president!" To prove his new loyalty to the Vols, he enclosed a picture of his family, all wearing Orange. Stay in touch, Dave. * ... NEW HEAD COP: I had a chance to meet with newly installed Bakersfield City Police Chief Greg Williamson the other day in his Truxtun Avenue conference room. There's no doubt he has taken over at a critical time for the department, which like all city departments is facing an uncertainty over its budget. Williamson did say that he is hiring 17 new police officers funded with stimulus money and that combating gangs remains a high priority. The gang issue is one that is not going away. * ... THE BUZZ: So now comes word that Bakersfield has been named one of the "drunkest" cities in America by Men's Health magazine. We have enough image problems already, and this comes on the heels of hearing that "The Biggest Loser" was in town last week rounding up our more obese local citizens to appear on the program. So now we're not only overweight, but drunks as well. At least we can take some comfort that Fresno was ranked the nation's drunkest city, and we were down at No. 10. (The top five were Fresno, Reno, Billings, MT., Riverside and Austin, TX.) The survey was based on DUI rates, alcohol related car accidents and other incidents. Click here to read the entire story. Thanks for the update on Dave Price III. 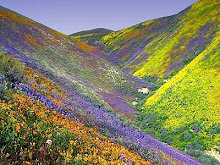 That is truly a beautiful part of our country. Perfect distance from Great Smoky Mountains National Park. I have driven roads parallel to I-81 several times in the last couple of years. Congratulations to Dave. "But something has changed, and it is clearly for the better." Well, it certainly couldn't get any worse.